The best small smartphone right now is the Sony Xperia XZ2 Compact. It’s a truly tiny phone compared with most other devices, but it offers plenty of power, a 5-inch display, and a decent camera. We’ve tested hundreds of smartphones at Digital Trends and we know that some people prefer a phone they can comfortably manage one-handed. All the diminutive devices that made our list have been put through their paces thoroughly. If you don’t fancy Sony’s last Compact, then we have some alternatives from Apple and a couple of the best Android phones around by any measure. Sadly Sony isn’t making any more compact Xperia phones, which means the Xperia XZ2 Compact is likely to be the last ever. Thankfully, this little phone is still plenty powerful, and a great choice for a smaller smartphone that’s squat in the hand but doesn’t compromise on power. The XZ2 Compact sat at the start of Sony’s new Ambient Flow design philosophy, a design based on water. It definitely looks a little dated when compared to more modern phones, but it’s ergonomic and comfy to hold. The Compact isn’t much larger than the iPhone SE, but it still manages to squeeze an 18:9, 5-inch display with a Full HD resolution. There’s IP65/IP68 waterproofing too, but no headphone jack (a 3.5mm to USB-C adapter is in the box). You’ll find a fingerprint sensor on the back. It’s more impressive on the inside, with last year’s flagchip, the Snapdragon 845 providing more than enough power for most modern games or apps. That’s joined by 4GB of RAM, 64GB of internal storage, and a MicroSD slot so you can expand storage by up to 512GB. You shouldn’t have a problem with performance or storage on this pint-sized phone. The camera is as impressive as in past Xperia phones. The XZ2 Compact has a hefty 19-megapixel, f/2.0 camera that delivers good photos — even in low light. The standout feature here, though, is the super slow-motion video, which is now capable of capturing 960 fps at 1080p HD quality. It can be tough to capture the right moment, but when you do, it looks amazing. 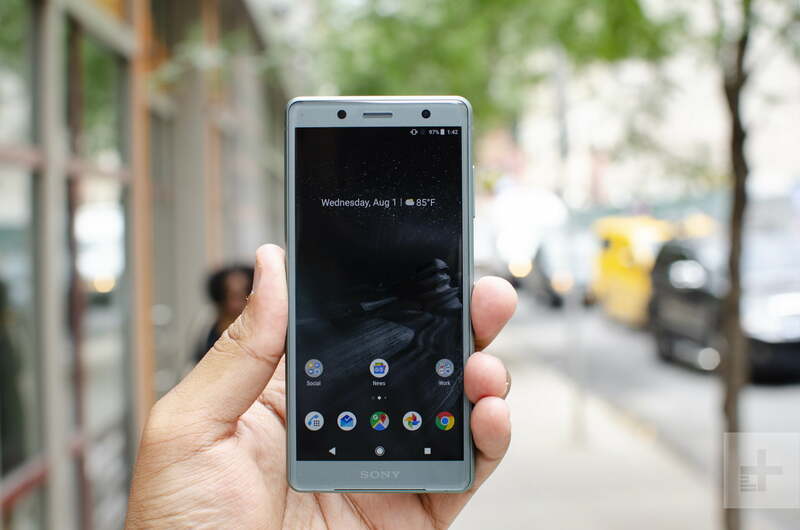 You can buy the Xperia XZ2 Compact for around $500, and it’s available now from Best Buy, Amazon, Focus, and BuyDig. 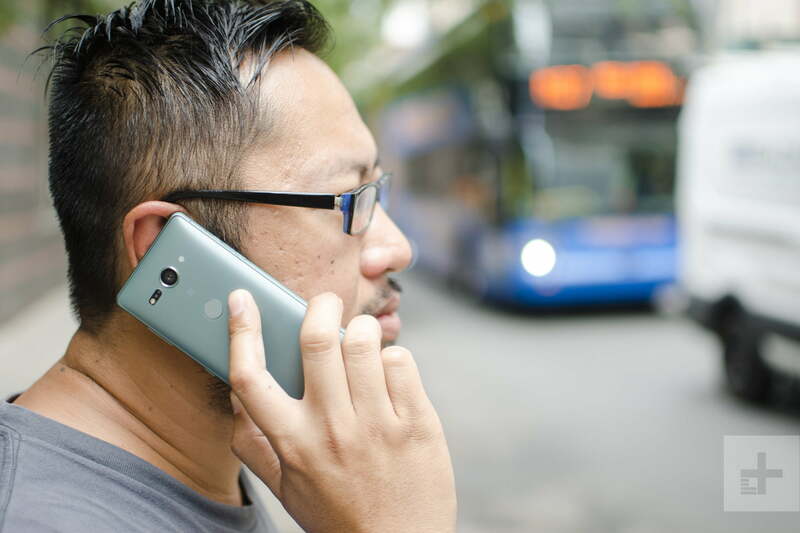 You can read more about the phone in our XZ2 Compact review. Like the Pixels that came before it, the Pixel 3 is the best way to experience Android. That’s because it comes straight from Google, which owns and manages the Android operating system. As a result, the Pixel’s hardware is closely tailored to complement Android’s every little need, and updates are lightning-fast. With a Pixel, you’ll receive most Android updates the day of release, as well as great support from Google itself. While not a small phone in the traditional sense, the Pixel 3 is still on the smaller side compared to most modern phones, and is slightly smaller than the Pixel 2. Despite this, it comes with a much larger 5.5-inch OLED screen, thanks to greatly reduced bezels. It’s still packed with top-flight flagship specs, including the Snapdragon 845, a beautiful display, and a host of smart A.I. features. Google’s artificial intelligence can screen your calls from telemarketers, boost your digital zoom, and even massively improve nighttime photography with Night Sight. That feature doesn’t stand on its own either. Like previous Pixel phones, the Pixel 3 takes some incredible photographs, using software to complete tasks most phones need multiple lenses to complete. In a world where some phones now come with five lenses, it’s bizarre that the best camera phone only has a single 12.2-megapixel lens. There are downsides. There’s no MicroSD card slot and no headphone jack. The bezels are chunkier than most modern flagships, and the design can be seen as a little safe. The battery life is also slightly disappointing, and you can’t really expect more than a day from the Pixel 3. However, the body feels exceptionally comfortable in the hand, and recharging is very fast thanks to the included 18W charger. While it’s not “modern $1,000 flagship” expensive, it’s still a pricey phone. Prices start at $800 for 64GB of internal storage, and it costs an extra $100 to upgrade that internal storage to 128GB. Pixel owners do get unlimited high-quality photo storage on Google Photos for free, which goes some way to redressing the lack of a MicroSD card slot. If the allure of having the best camera around and the latest version of Android (Android 9.0 Pie) is too much to pass up, the Pixel 3 is the smaller screen for you. You can find more in our full Pixel 3 review. If you’re an Apple fan with a penchant for smaller screens, then this entry isn’t for you. Why? Because you already own the iPhone SE and are reading these words in teeny-weeny-vision. The iPhone SE has the smallest screen size on this list, measuring in at a practically minuscule 4 inches. But if you long for the days when you could reach the top of phone screens with no issue, then the iPhone SE is the tiny iPhone you’re looking for. Don’t be fooled by the small screen — the iPhone SE is no slouch in performance. While the SE is now almost three years old, the powerful specs from the iPhone 6S still hold up admirably today. There are downsides to the iPhone SE, of course. While the camera on the back is the same solid 12-megapixel snapper we saw on the iPhone 6S, selfies with the puny 1.2-megapixel front-facing camera are likely to be disappointing. If you take a lot of selfies, then the front camera isn’t likely to light your fire. 3D Touch is also missing from the SE, despite making its debut in the iPhone 6S. The battery life may also struggle to make it through the day unaided. As is par for the Apple course, storage is limited to what you get on board, with 16GB, 32GB, 64GB, and 128GB options available. However, even though the device is now quite old, you’ll still be able to nab the latest version of iOS 12 — you’ll rarely find this level of update support on Android phones. Apple’s usual polish is present throughout, and the SE’s performance is as smooth as you expect from the Cupertino, California giant. This tiny titan is definitely worth your time if you’re not opposed to picnicking in Apple’s walled garden. Unfortunately, the iPhone SE is now officially discontinued, so new units are hard to come by. However, you can still pick it up refurbished from some vendors for a bargain price. Check out our full iPhone SE review for more details on how well it handles. The iPhone XS, iPhone XS Max, and the iPhone XR may be Apple’s most popular smartphones, but don’t forget the humble iPhone 8. 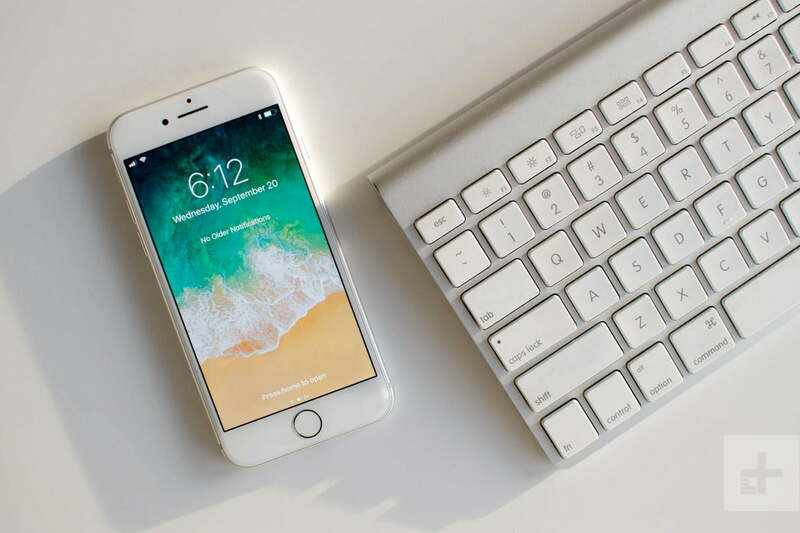 While it’s not as small as the iPhone SE, the iPhone 8 only packs a 4.7-inch screen — which is minuscule compared to the majority of modern smartphones. That smaller screen makes it much easier to handle than most of the huge-screened smartphones today, and that’s why it’s a good pick if you’re wanting a smaller smartphone. But the size isn’t the only thing the iPhone 8 has going for it. The LCD screen has Apple’s True Tone technology inside, which adjusts the screen’s color based on the lighting in the room you’re in, and it has a resolution of 1,334 x 750 pixels, making it sharp and clear in most circumstances. The phone itself is powered by Apple’s powerful A11 Bionic processor, and though it’s no longer the top performer, it’s still powerful enough to handle pretty much every game and app out there. Wireless charging is another new addition, and the phone is IP67 water-resistant, so it’ll be able to survive a dunk in the pool or the bath. The 12-megapixel, single-lens camera isn’t as exciting as the dual-camera systems on the iPhone XS Max or even the iPhone 8 Plus — but the iPhone 8 still doesn’t disappoint. You’ll be more than happy with the photos this phone can capture, and the selfie camera is pretty great too. What’s most important is that this phone can run the latest version of iOS 12 without any hiccups, and it will likely stay updated for quite a few years, keeping it up-to-date with the latest additions to Apple’s range. Best of all, the iPhone 8 has seen some significant discounts, so it now costs just $599 from Apple, and you’ll be able to get it for even cheaper if you get it refurbished. You can check out our iPhone 8 review to learn more. Alright, so we’re pushing the acceptable boundaries for “small” with the Galaxy S10e, but hear us out. The Samsung Galaxy S10e is the largest phone on this list, and while it’s significantly larger than traditionally small phones like the iPhone SE and the XZ2 Compact, the cheapest member of the S10 range is still one of the smallest modern flagships you’ll find. The 5.8-inch Dynamic AMOLED display is the most obvious feature of the Galaxy S10e. It’s a beautiful thing, breaking records in DisplayMate’s screen tests, and displaying a sharp Full HD+ resolution. Like the rest of the S10 range, there’s a hole-punch for the selfie camera, and this addition has allowed Samsung to shrink the device’s bezels even further. It’s not exactly the same as its more expensive siblings though — there’s no curve on the screen edges, and there’s no ultrasonic fingerprint scanner. But that’s only a small concession when the power inside remains unchanged. The S10e packs top flagship power with the Snapdragon 855, 6GB of RAM, and 128GB of storage. You can also get a version with 8GB of RAM and 256GB of storage. The headphone jack is still there, and you’ll find the same wireless power-sharing, and a 3,100mAh battery. Unfortunately, the S10e isn’t using the same triple-lens set-up as the S10 and S10 Plus, but the dual-lens system is still excellent. You’ll find a variable aperture 12-megapixel lens and an ultrawide 16-megapixel lens on the back of the phone and a 10-megapixel selfie lens around the front. There’s A.I.-optimization here too, and the phone will suggest simple fixes to common problems, and can recognize even more scenes through the Scene Optimizer. The S10e is the cheapest of the Galaxy S10 range, but it’s still not an affordable smartphone. Prices for the Galaxy S10e start from $750, though there are a range of deals you can keep an eye on to try and save some extra money. Check out our Galaxy S10e review for our in-depth analysis of the phone.